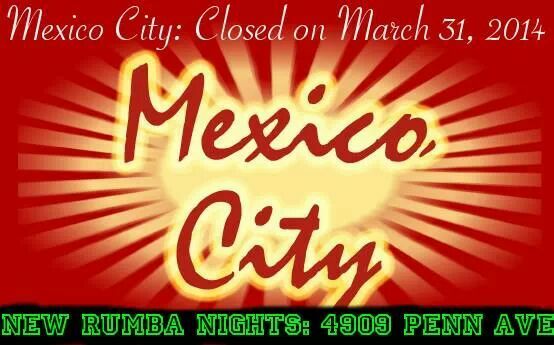 Tonight starts the NEW Wednesdays/Saturdays VENUE: RUMBA NIGHTS: 4909 PENN AVE, Pittsburgh, PA (Few blocks from Children’s Hospital) STARTS TODAY APRIL 2nd 2014!!!!! Then, a a Huge Saturday Salsa Night, started off much better with a Live Salsa band, forgot who, back in March 2010…. * I want to thank Alberto Martinez, and Agustin Garcia specially for believing in me at first, they took it very seriously, but after they seeing me at Altar Bar hosting Mexican Concerts back in 2008-2009, and Latin Music at Azteca Mex in Shady Side, and Matrix, Dance Cafe, Shootz Cafe, plus another 50 places, they saw the motivation I had to continue this art… without their decision, I was not going to be where I am now. They Push up to the limits, They didn’t care how bad or good it could go, they just throw Ideas, and I executed them and add to it, then later in the Years, I became a mastermind like them and introduce my own Baseline Promo, flyer distribution, Internet Marketing Explosion and much more. * I Want to Thank DJ Jeff Shirey from Salsa Fridays at Cabaret at Theater Square for always keeping an EYE on me, on my listing and being so helpful for the community. I understood most of Jeff’s Point of view and Agree to mutually help each other before I was even getting better at this. without Him I would not have succeed in many gigs!! Vj Juan Diego VII had a long personal Life experienced, history from good and bad. Mexico City had brought me unique moments of Life, moments that I don’t regret, and history I won’t forget. I keep silent on this subject the most I can. * I want to thank Catherine for being the #1 most inspired dancer, she had won my respect, even from Azteca Mex, she has followed where the “GOOD VIBE” is, or the best in Music Mix and People too!!! * I Want to thank Sonny for always supporting me and Agustin on this path, he have been always representing Pittsburgh Out of of the City, LIKE Washingotn DC, Las Vegas, and many other Salsa BIG CITIES… without Him, I would not have met awesome Open minded Salseros, Bachateros, plus his Ideas always intrigued me.. Thank you for your support, We gladly miss you….